We specialise in designing, making and fitting bespoke wardrobes that are 100% made to measure. We make and customise everything ourselves in our very own West Wickham workshop, from the doors to the internal storage. Unlike some other wardrobe companies, when we say ‘made to measure’, we mean it. Our wardrobes are hand cut to the correct size in our Kent-based workshop, so they will fit into your space perfectly. Other brands often have set door sizes, then use infill panels to fill out the space. We order in parts, cut them to size and produce doors that are the exact measurements you need. This gives us full control over quality, functionality and design. We keep you updated throughout the project. We have so many different style and colour options for you to choose. Our team will design a wardrobe that fits your home perfectly. Furniture is sturdy and strong. We only use quality materials, like aluminium, wood, wood veneer, MDF and MFC. Our products all come with a five-year guarantee. The people who fit your wardrobes work for us and they know our products inside out. We never outsource fitting to sub contractors. If anything needs to be adjusted slightly for a perfect fit, we do it then and there. We won’t need to book in any additional visits or delay your installation. Watch our installation team transform this bedroom in Bromley. 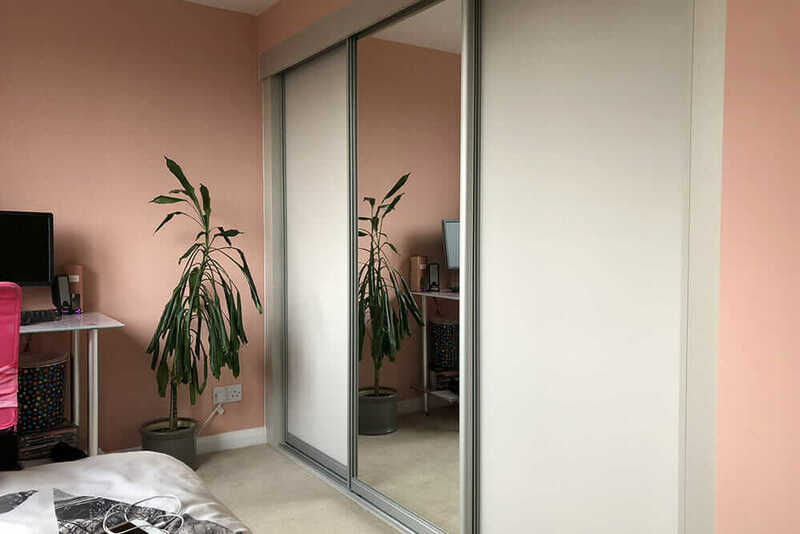 We offer a range of quality sliding wardrobes, made from strong materials like aluminium, steel and vinyl. There are so many different colours and combinations you can choose, including glass panels, wood effect panels and different coloured surrounds. 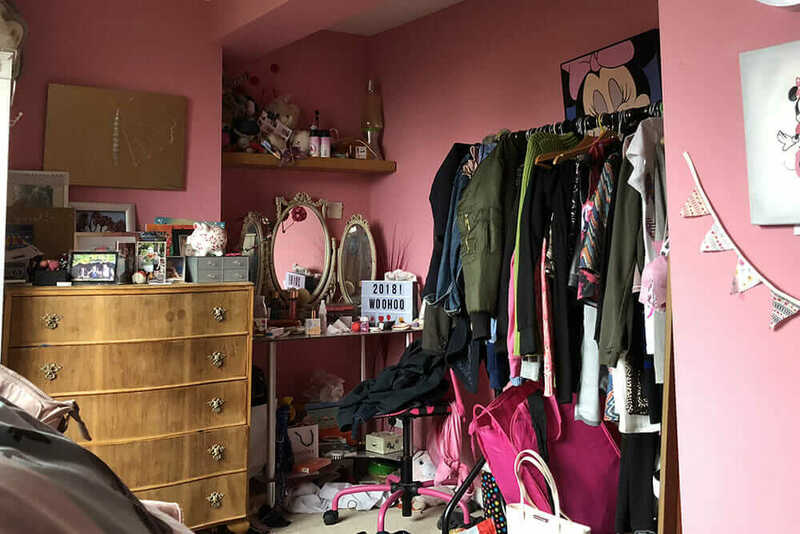 See how our sliding wardrobes transformed a teenager’s bedroom in Bromley. A fitted wardrobe will fill your space perfectly and will give you plenty of storage. We have a versatile range of door options, from traditional shaker styles to contemporary and modern high gloss finishes.